"There was an old owl who lived in an oak. Here's a little pouch for you to tuck your treasures inside. 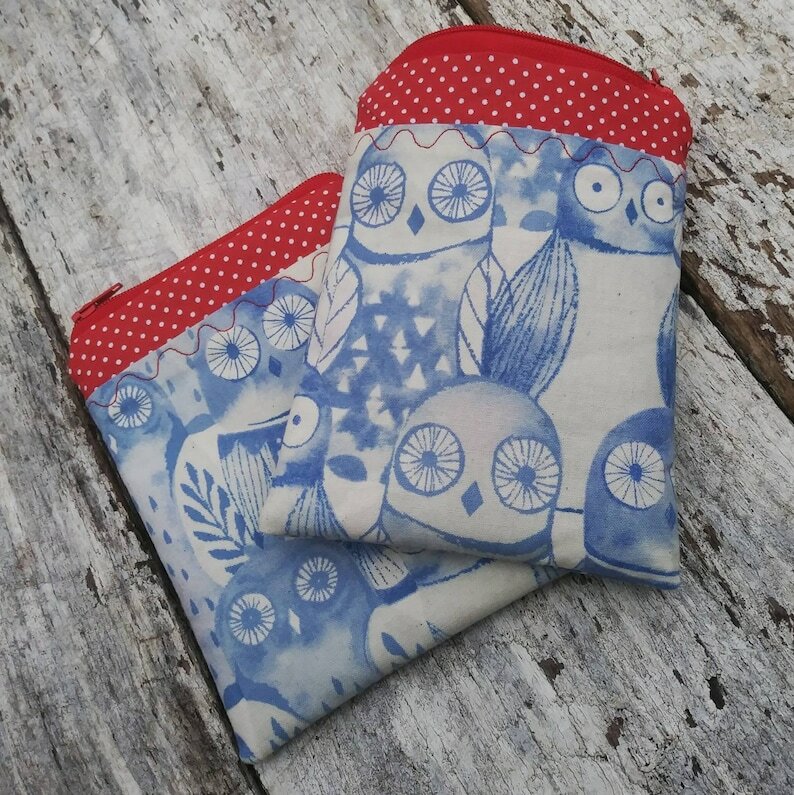 The outside of the pouch is a two fabric combination of blue owls and red polka dots. (Exact pattern placement may vary.) Inside the pouch is lined with a brown lattice print. The pouch measures approximately 4 inches by 6 inches. Just the right size to tuck a few small goodies into your purse. It will hold your id and credit or store loyalty cards. Would be a really cute gift card holder!